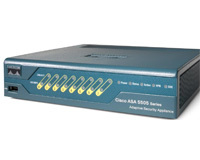 The Cisco ASA offers an all-in-one Security Appliance combining Intrusion Prevention (IPS), Anti-X, Firewall technologies and VPN Adaptive Security into one hardware device. Pervasive in small and large companies alike the Cisco ASA Advanced Security Appliance products are powerful devices for managing your corporate network security. The ASA line not only enables network admins to prevent network attacks, but also to identify and respond to them. Vibrant buys and sells new and used Cisco ASA hardware. PIX origins: The Cisco ASA is the follow-up to the PIX firewall devices, of which Vibrant also carries. The evolutionary step to the ASA was enormous though, enabling capabilities well beyond the firewall. Cisco ASA Pricing: Request a Quote today for pricing or Contact us with questions or equipment to sell.